Item # 155388 Stash Points: 5,995 (?) This is the number of points you get in The Zumiez Stash for purchasing this item. Stash points are redeemable for exclusive rewards only available to Zumiez Stash members. To redeem your points check out the rewards catalog on thestash.zumiez.com. 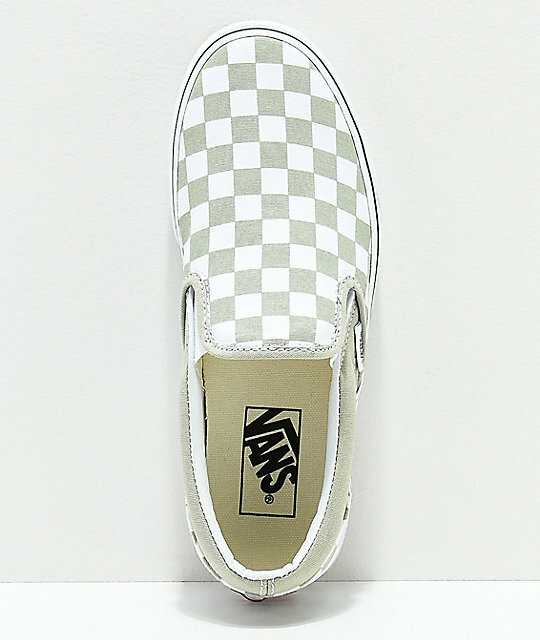 Refresh your Vans collection with the Classic Slip-On shoes in sage green and white checkerboard. 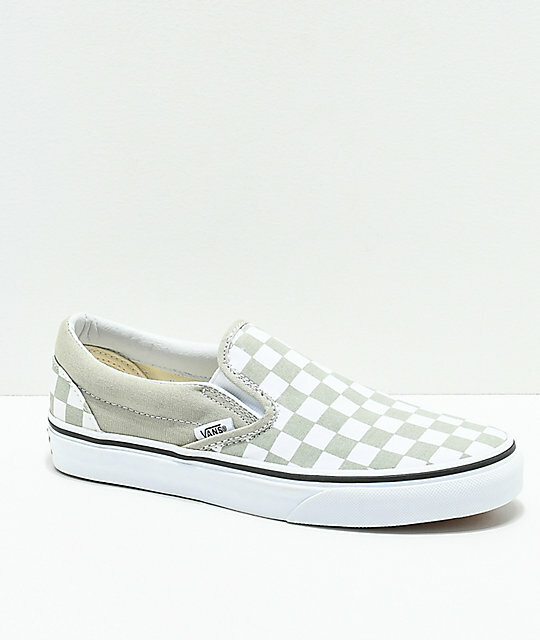 The canvas upper boasts an iconic checkerboard pattern while the vulcanized outsole offers improved flexibility and boardfeel. Elastic tongue slits for easy entry/removal and snug fit. 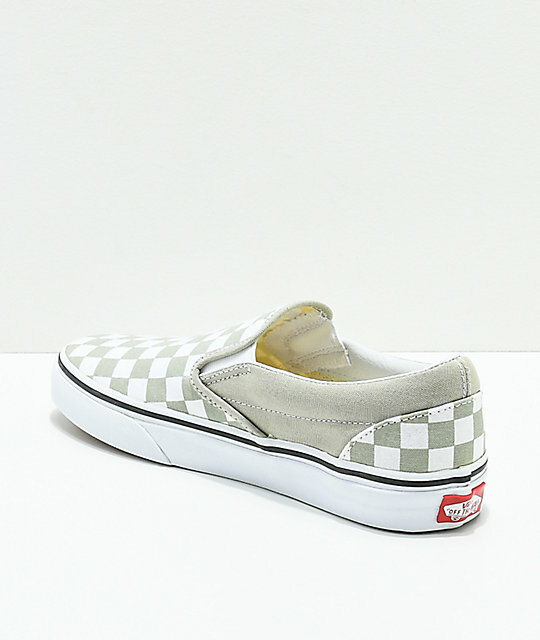 Checkerboard canvas upper with seamless toe. 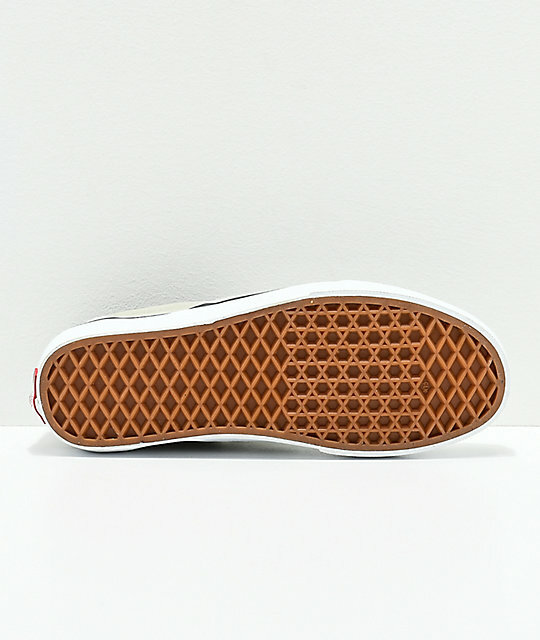 Cushioned Vans insole for impact support.